It’s safe to say it’s been a great year here at Zip World. We hosted our first ever event, Zip World Rocks, won a UK Fast Track 100 award, and expanded on the world’s fastest zip line, Velocity 2. And now we’ve done it again. Zip World co-founder Sean Taylor headed south to London’s ‘The Brewery’ last week for the UK Private Business Awards. 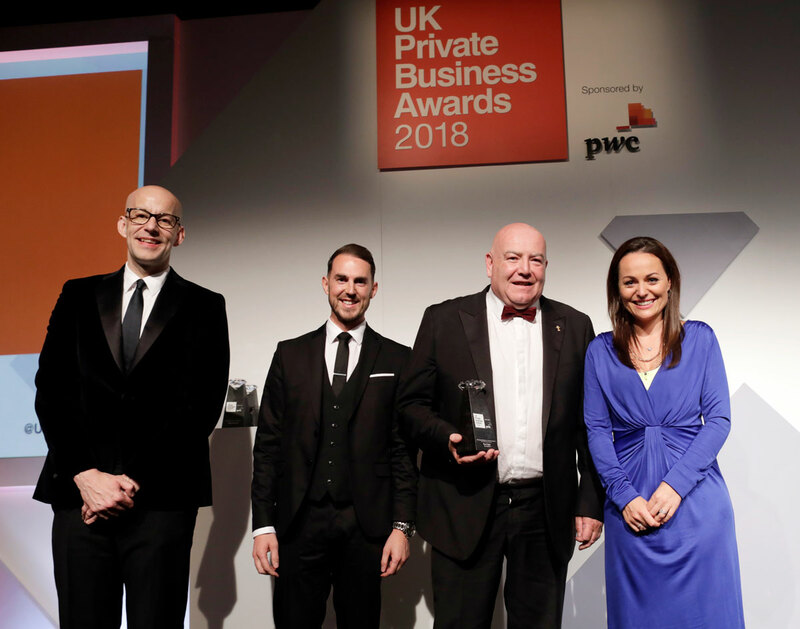 The awards evening is currently in its 8th consecutive year, and is held to recognise the achievement and success within the hugely growing amount of private businesses in the UK. The rewards are often referred to as ‘the Diamonds’, and are presented to the UK’s most successful private companies, management teams and entrepreneurs. The event saw entrepreneurs and companies travel from far and wide to celebrate all things business, and to meet and network with the creme de la creme of the industry. Sean was nominated for the ‘Emerging Entrepreneur of the Year Award’, and emerged successful, we’re pleased to say. Sean and fellow co-founder Nick Moriarty have worked tirelessly for multiple years now to make Zip World what it is today, with 10 (soon to be 11) thrilling adventures across 3 sites, with plans for big developments in process! It was fantastic to see this hard work being recognised and rewarded. Well done Sean, we’re very proud of you! North Wales Business Leaders Awards Winner!